Gently sauté the garlic and onions over medium heat for about 2 minutes in oil, add the onions, celery, leeks and carrots on the pot and sauté for another 4 to 5 minutes. Add the water or stock as well as the bay leaves & thyme. Bring to a boil then simmer for 45 minutes. Remove bay leaf and thyme. 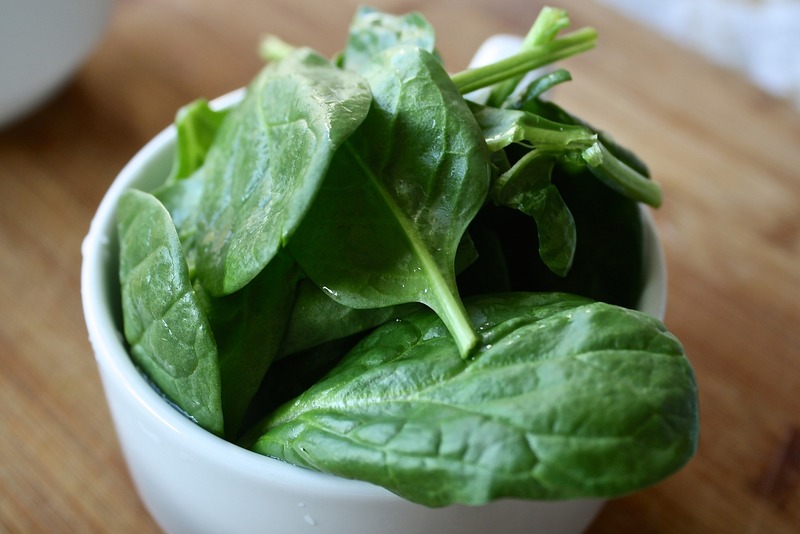 Add the fresh spinach to the top of the pot, set the lid on it and steam for approximately 3 to 5 minutes. Mix the spinach in and serve hot. Option: Make it creamy by using your immersion blender.